Definitely the queen of the ball, this fantastic lady knows how to make an impression wearing a gown that is so intricately embroidered, all of the other belles at the ball are instantaneously jealous! 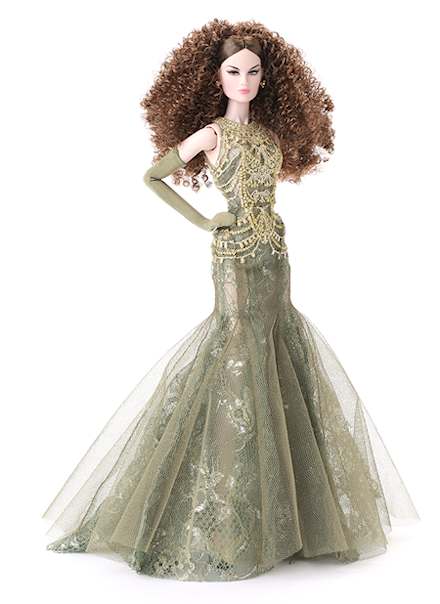 Never Predictable is a 12.5-inch fully articulated doll features fully rooted hair and comes dressed in a stunning embroidered gown, designed to mimic the fineries of a time gone by. With her long opera length gloves, shoes and jewelry, this lady is a stunner! A doll stand is also included.